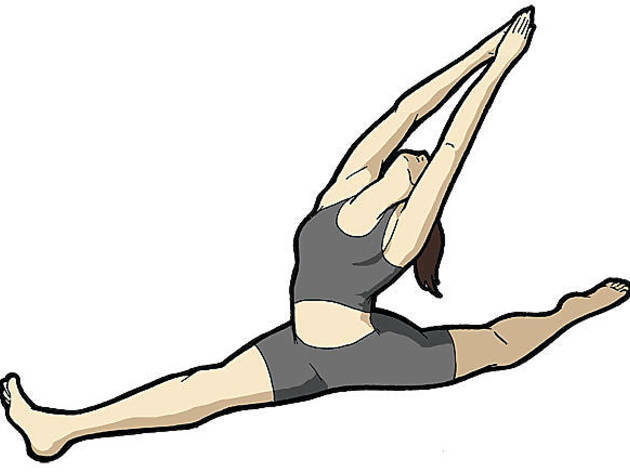 You've been there, done that with ashtanga and Bikram. Take your yoga routine to another level with these under-the-radar practices. Tantric hatha is all about becoming aware of the understated aspects of yoga. “We’re trying to create a space where practitioners can move beyond the physical body and really get sensitive to the subtle realms,” says Brenna Geehan, a tantric hatha instructor at Nature Yoga. This means tantric hatha is great for focusing on less obvious details—like breath work, hand positioning, active limbs and meditation—that are often overlooked when quickly transitioning from pose to pose during most yoga classes. What to expect While you don’t go through as many downward dogs as say, a vinyasa flow class, you’ll hold asanas (poses) longer in order to get energy flowing through the body. Good for Experienced students. In most tantric hatha classes, instructors won’t spend much time correcting postures, so it’s best for those who have a solid understanding of proper form. Try it at Nature Yoga (2021 W Division St, 773-227-5720, natureyoga.com). Developed by Ana Forrest, this is the only form of yoga specifically created for the Western body—that is, the tight necks, shoulders and hips we get from sitting in chairs, hunching over computers and cradling the phone all day. “In traditional yoga, you tend to look up at the ceiling, which puts more stress on the neck,” says Moksha Yoga instructor Talya Ring. For example, in poses like triangle—which traditionally requires the neck to twist up to the sky while the rest of the body faces the opposite direction—the head hangs toward the floor. What to expect Forrest yoga may be designed for your cubicle-centric lifestyle, but it’s not a walk in the park. You’ll focus on foot stability and poses like dolphin (a more difficult downward dog with forearms flat on the floor), which help develop a strong core (another weak spot for most of us). Good for Practically everyone. In fact, Ring says many people come to Forrest yoga looking to heal injuries from other types of yoga. Try it at Moksha Yoga (3334 N Clark St, 773-975-9642; 700 N Carpenter St, 312-942-9642, mokshayoga.com). Created in 1997, anusara, which means “following your heart” in Sanskrit, focuses on alignment and finding inner peace. Near the end of the session, you’ll devote extra energy to thanking your body for allowing you to be able to practice. What to expect An energizing class with a lot of back bends and heart-opening moves like cobra pose; instructors using phrases like “melt the heart” throughout the practice. Good for Nervous, injury-prone yoga newbies. According to Geri Bleier, a certified anusara instructor at Yogaview, “Anusara offers more instruction as to where your body is in alignment of the poses,” so there’s less likelihood of mistakes. Try it at Yogaview (2211 N Elston Ave, 773-342-9642, yogaview.com). What to expect Think of it as yoga karaoke. A live band performs with a chant leader who sings in Sanskrit. and the call and response ensues for up to two hours. There’s very little movement involved and participants can wear street clothes. Good for American Idol wannabes with a spiritual side. Try it at Yoga Now Gold Coast (742 N LaSalle St, Suite 201, 312-280-9642, yoganowchicago.com). “While hatha yoga is posture-centric, we’re much more involved with connecting to the spirit,” says Kundalini Yoga in the Loop instructor Hari Dev. Easily one of the most spiritual yoga practices, kundalini is a bit like yoga mass. Everything from the first breath to the last note of a chant aims to connect participants to God. What to expect Repetitive, vigorous movements, chanting, gong baths (intense sound vibrations used to increase mental awareness) and meditation to stimulate the nervous and endocrine systems to incite change from within. Good for Physically, kundalini yoga is suitable for everyone, and even better for those interested in more one-on-one time with the big guy upstairs. Try it at Kundalini Yoga in the Loop (410 S Michigan Ave, 312-922-4699, shaktakaur.com).